The name is a nickname from school days from my interest in the First nation - Native Americans. My father introduced me to country and blues at a very early age, so I began obsessing then. My first love is Americana but I like many genres. I love live music and also to hunt out new music and I hope to bring some of it to you. 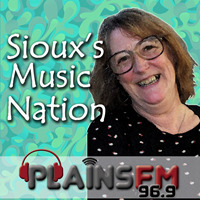 Sioux's music picks to get you through the New Year! A mix of must-have music from Sioux's collection.